The name of the Group is the "New Zealand Miniature Hereford Breeders Group" (hereinafter referred to as "the Group"). 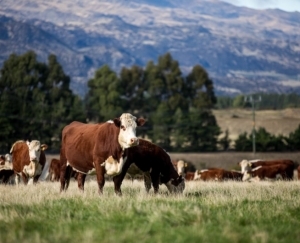 The Group shall be incorporated under "Club Membership" of the New Zealand Hereford Association Rules. To maintain the purity, improve the breed and promote Miniature Hereford Cattle. 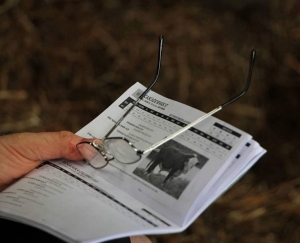 (a) Membership of the Group shall be restricted to financial members of the New Zealand Hereford Association (hereinafter referred to as "the Association"). (b) Each membership shall represent one stud or farm and therefore may be represented by different individual members of each stud or farm from time to time. (c) Each membership shall be entitled to one vote on a "one vote per farm" basis. (a) Any financial member of the Association may be admitted to the membership of the Group upon the payment of one year's subscription in advance. of July next following the date of such determination. (b) Subscriptions shall be due on the first day of July in each year. available for inspection by members at the address of the Secretary. (b) A copy of the register of members is to be lodged with the Association annually. to three (3) ordinary members. be essential for the proper management and control of the affairs of the Group. Executive present in person or by proxy. were obtained at a regularly constituted meeting of that Executive. Group each year in the usual manner. to attend such meeting and to be heard. May or June in each year. (ii) by resolution of the Executive. meeting is considering that item. shall constitute a quorum for the transaction of the business of any general meeting. (a) Votes at any meeting of the Executive may be given personally or by proxy. grants, levies and such other sources as the Executive from time to time determines. made without the prior authority of the Executive or general meeting of the Group. appropriate to the welfare of the Group. of in accordance with the relevant provisions of the Association. governed by such bylaws as may from time to time be approved by the Executive. manner which has not previously been approved by the Executive.